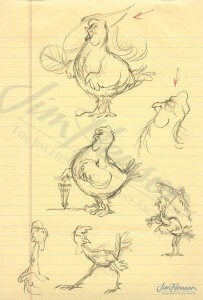 Jim’s 1972 television special, The Muppet Musicians of Bremen, was the third (and last) in his series under the umbrella title “Tales from Muppetland”. These Muppet-ized fairy tales grew out of work Jim started in the early 1960s, first with Tales from Tinkerdee, a pilot for a fractured fairy tale series, and then in various versions leading to the successful production of Hey Cinderella! in 1968 (airing in 1970) and then The Frog Prince in 1971. 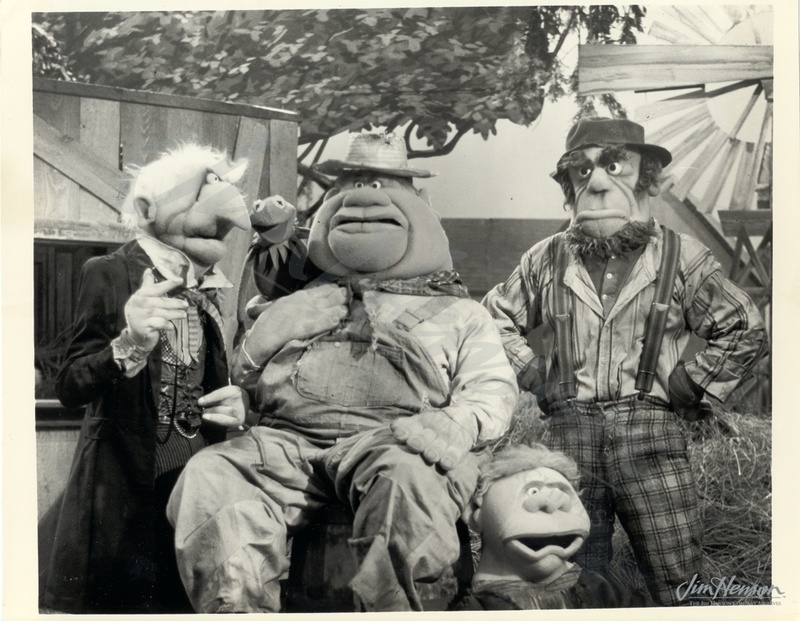 Characters he developed at the beginning of this creative journey, like Kermit, King Goshposh and Taminella Grinderfall, appeared in various guises in all of the shows, interacting with real human actors – except for The Muppet Musicians of Bremen. 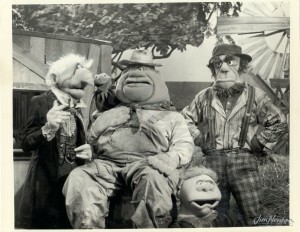 Set in the swamps of Louisiana rather than a European-like kingdom, Bremen required a new group of characters that included more realistic animals and human types portrayed by performers wearing flocked foam heads and hands. The animals were complicated, switching between hand puppet and marionette versions in each shot, and the human foam heads muffled any sound coming from the performers, making it impossible to record the dialogue in real time using the voices of his puppeteers. Instead, Jim cast voice actors for most of the characters and recorded the script separately. His January 1972 trips back and forth to Toronto allowed him to find just the right voices (along with himself and Jerry Nelson) to speak for the animals and humans. The Canadian performers that joined Jim and Jerry in the recording studio were Nick Nichols, Francois Klanfer and Phyllis Marshall. Ten years later, Jim was happy to dip into the rich Toronto talent pool again to add performers to his Fraggle Rock team. Learn more about The Muppet Musicians of Bremen. 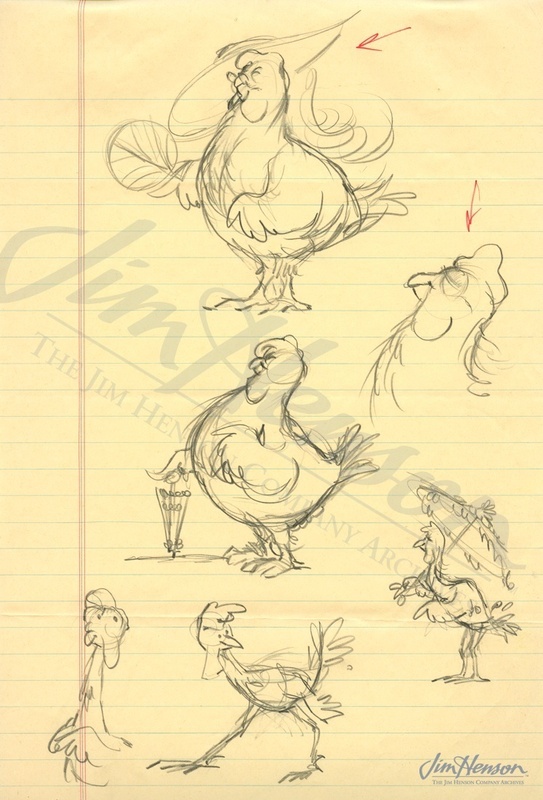 Michael Frith’s chicken designs for The Muppet Musicians of Bremen, 1971. Kermit and the human characters from The Muppet Musicians of Bremen, 1972. This entry was posted in 01-January '72, 1972, Muppet Musicians of Bremen and tagged Fraggle Rock, Francois Klanfer, Hey Cinderella, Jerry Nelson, Kermit, King Goshposh, Nick Nichols, Phyllis Marshall, Tales from Tinkerdee, Taminella Grinderfall, The Frog Prince, The Muppet Movie, The Muppet Show, Toronto. Bookmark the permalink.